The Powell River Kings’ mastery over the Victoria Grizzlies this season continued Saturday night at The Q Centre. The visiting Kings rode the solid goaltending of veteran Mitch Adamyk and an efficient power play to down the Grizzlies 4-3 in a shootout to draw even with Victoria atop the B.C. 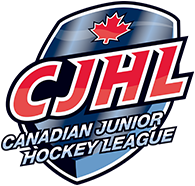 Hockey League’s Island Division. The Kings (31-18-1-0) are 5-1 against the Grizzlies (30-16-0-3) this season and the two teams will go at it again today with a special pre-Super Bowl noon start at The Q Centre. The Grizzlies came flying out of the gate Saturday, knowing that the Kings had lost the night before in Port Alberni. But the 20-year-old Adamyk stood tall — Victoria outshot Powell River 23-12 in the first period — allowing his teammates to await their opportunities. And they came quickly. Eleven minutes into the opening frame, Mitch Williams tapped in an easy rebound on a power play to open the scoring. And 35 seconds later, Ethan Schmunk was left alone at the side of the net for another easy goal as the visitors quickly quieted an energetic crowd at The Q. After the league’s top two scorers — Alex Newhook of the Grizzlies and Ryan Brushett of the Kings — traded goals in the second period, the Grizzlies took it up a notch in the third and got goals from Kyle McGrath, his first for the Grizzlies since joining the team last month, and Alex Campbell midway through the period to force overtime and gain a valuable point. Adamyk made quick work of the shootout, stopping Grizzlies forwards Cam Thompson and McGrath, while Williams and Levi Glasman beat Kurtis Chapman in the Grizzlies net. Adamyk finished with 45 saves to pick up his 23rd win of the season, while Chapman made 32 saves. 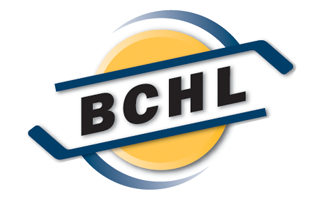 After today’s game, the Grizzlies are off until Thursday night when they’ll play host to the Cowichan Valley Capitals. LOOSE PUCKS: Newhook’s goal gives him a league-leading 76 points on the season. That’s four points better than Brushett, although Brushett’s marker was his league-leading 35th goal of the season.